Two extra events to add to your diary! *Time Trials #2 and #3 remain unchanged. It’s back again this August. 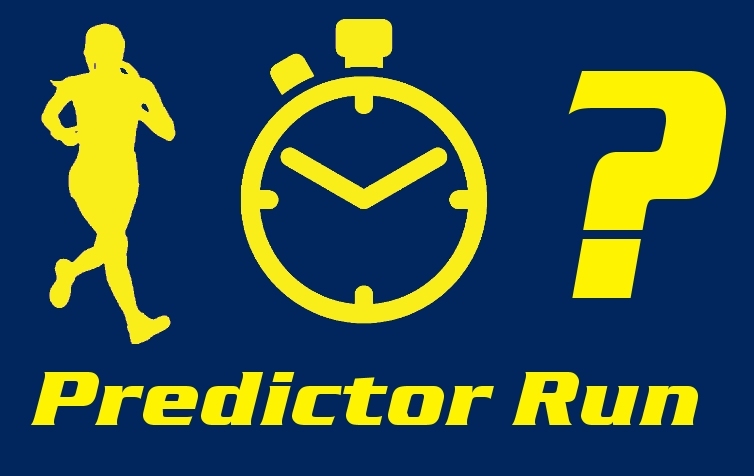 Can you accurately predict your time around our 5K or 5mile course? No watches allowed! A fair reflection of many of our running days this March, however it might seem that the Victorians didn’t have rain! 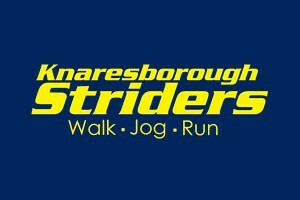 We did, guaranteeing the myriad running conditions to which our Striders are accustomed at this time of year. 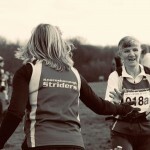 10k and 10mile races returned in abundance, with great expectations of a successful season ahead for our athletes. There was no shortage of success either, with some fantastic times clocked, new distances tackled, much progress in evidence and even a few prizes along the way! Just some of the many Striders at the 2nd March parkrun. 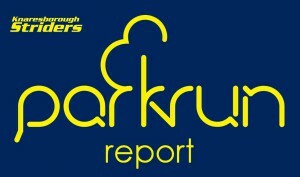 We’re including a solitary parkrun in this report because of course it formed part of our Club Championship. 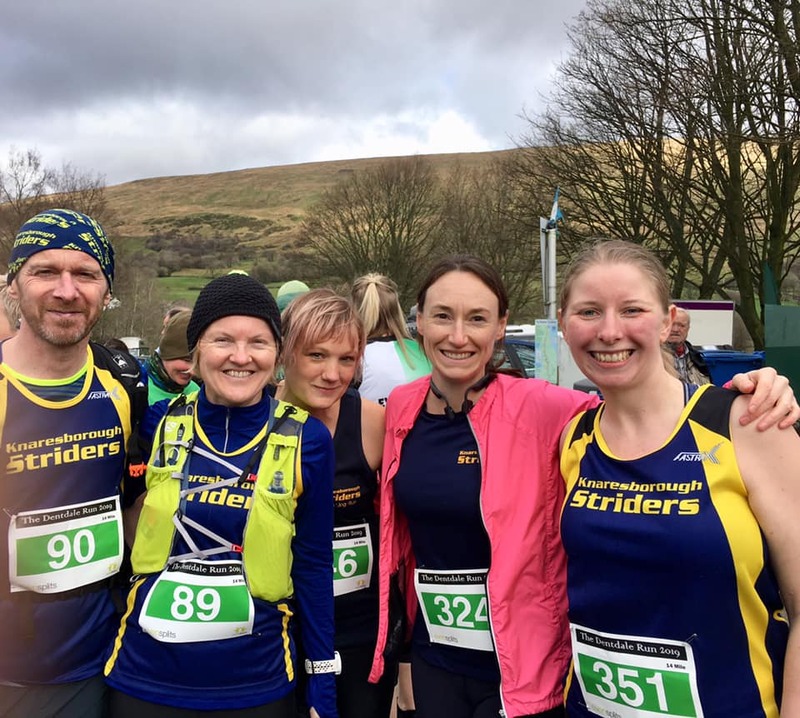 The second of this year’s extended 15 rounds and following-on from last month’s opener in Liversedge, it attracted Striders in strong numbers and ensured that our championship entries were greatly boosted! The Harrogate course was in expected condition for this time of year, with soft conditions on the grass and those crocuses to be avoided. The closure of Oatlands Drive provided an extra stretch of tarmac and so the worst of the mud was avoided! Cue several PBs, perhaps unexpected at this time of year! 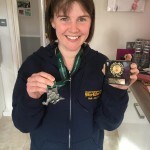 Raising funds for the North Yorkshire mountain rescue, the Dalby darkrun followed the course of the popular Dalby Forest parkrun for a night-time blast along the valley tracks and through the trees. This made for an exhilarating experience and the ‘tunnel’ effect resulted in some of the Striders, already doubling-up after the morning’s championship round, bettering their previous daytime efforts on the course! The club was also proud to provide the first two finishers in the race! Leading the field home in 18:36 was Steve Morland, pushed strongly by James Wright in 19:08. The recovering Catherine Morland (with clan and dog in tow) clocked 27:18 to win her category, whilst Fyn Lees (27:57) was runner-up in hers. Some of our Striders up in the hills of Dentdale. For the second year, our club championship returned to picturesque Dentdale for their ‘undulating’ 14-miler. 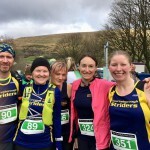 Our Striders joined a field of nearly 300 runners who enjoyed better conditions than previous in which to tackle the twisting ribbon of a course up and down valley. The infamous rollercoaster of a 14th and final mile once again proved a stern challenge as tired competitors found themselves tantalisingly close to the brewery and finish line! Ian Waller returned to action with a very strong 1:51:21, claiming the club’s veteran honours from our competitive new recruit Steve Dodsworth (2:05:45). 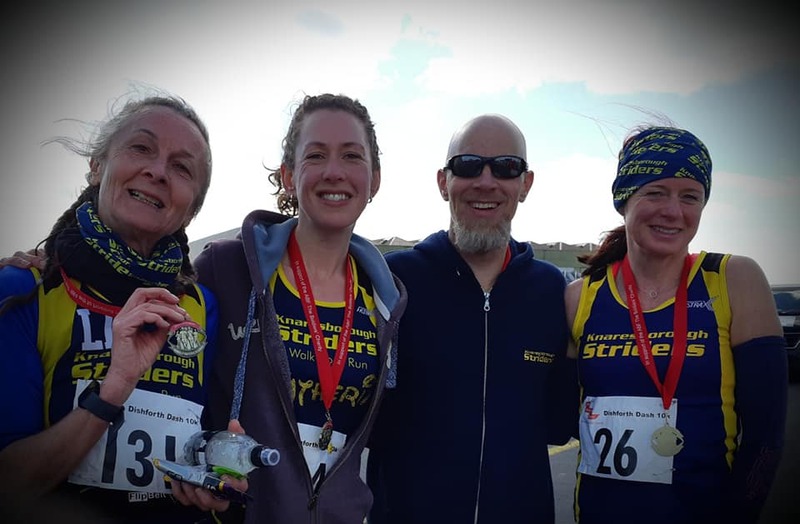 Claire Baxter (2:18:55) led home the rest of our Striders: Georgina Townsend (2:26:00), Natalie Hale (2:26), Laura Wilmshurst (2:27:08) and Linda Dodsworth (2:35:24). 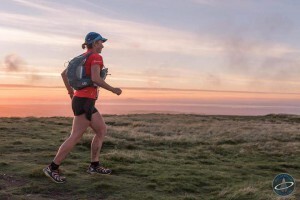 Normally the ‘55’, this tenth edition of event was shortened slightly and renamed to celebrate the 50th anniversary of the Cleveland Way National Trail. Starting at Guisborough, it followed the Cleveland Way route towards Helmsley, passing over the crest of the North York Moors and the Cleveland Hills taking in Roseberry Topping and the ‘Three Sisters’ before reaching the finish at the Market town of Helmsley. With over 2000 metres of ascent and a time limit of 16hours, just finishing the event is a challenge! Graham Yare was up to it though, battling the ridiculous winds and rain and nearly being blown off the path on the hills to complete this extreme event in 15 hrs, 9 minutes and 37 seconds. A tremendous effort, Graham! Thirsk – the town of the vet. Immortalised by the writings of James Herriot and latterly providing the backdrop for Channel 5’s ‘The Yorkshire Vet’, this historic market town once again played host to the ever-popular Thirsk 10 mile road race. With over 1,000 entries, the flat fast course heading north from Thirsk Racecourse presents an early-season opportunity for a PB. On a busy racing weekend, ten Striders chose this as their challenge. Tom Calvert produced a fantastic (but perhaps frustrating?) 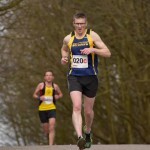 time of 01:00:03, whilst Steve Morland clocked a lifetime PB of 01:01:51. 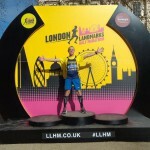 James Wright put a sleep-deprived night behind him to clock 01:06:08, whilst the experience Ian Mitchell produced a fine 01:14:27 and Stewart Hymas returned home in 01:16:06. 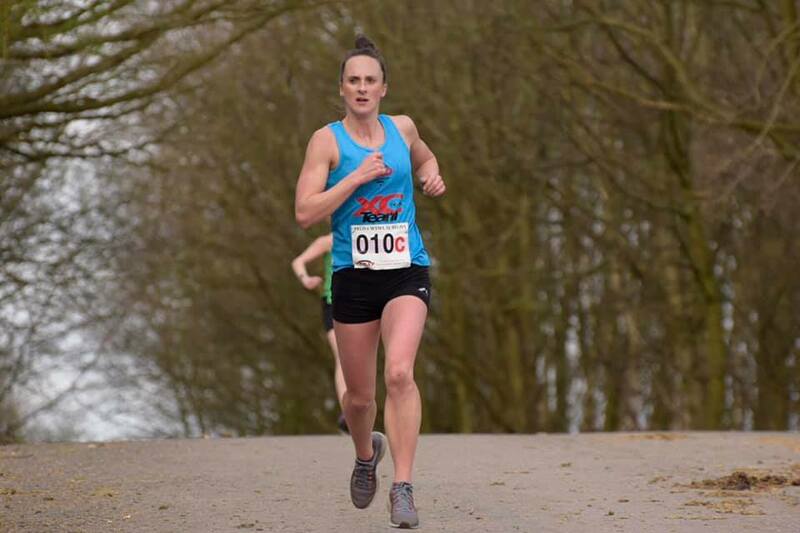 Claire Baxter continued her return to fitness in 01:25:53, ahead of Sarah Gore (1:36:04), Lizzie Medwell (01:41:03), Dawn Richardson (01:45:43) and Jo Gray (02:09:32). Bradford’s ‘out and back’ route provides another great opportunity for PBs (there’s a theme emerging here…) with a slightly negative second-half boosting runners to competitive times. In a massive 2,500-strong field, Issy Rowe set a blistering 40:40 to claim fifth female with Dave Sinton recording a very decent 51:11. 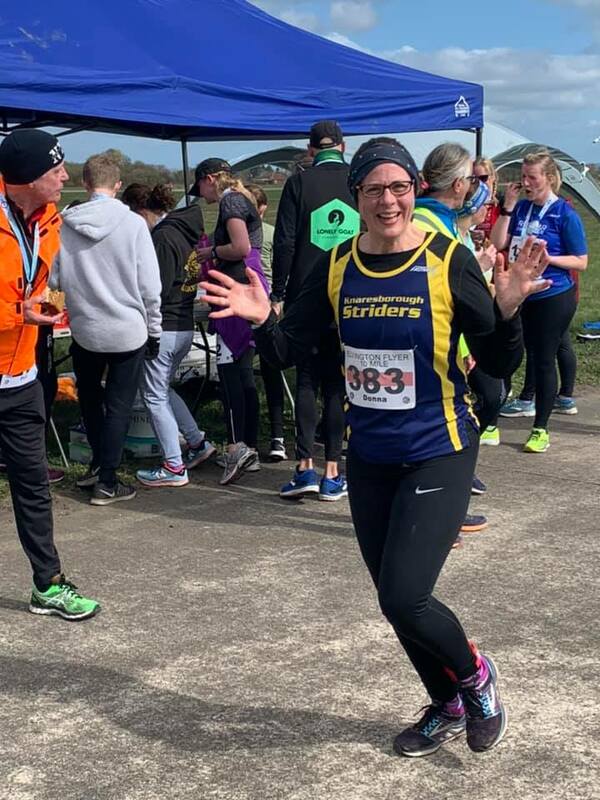 New recruit Donna Tucker’s run was both impressive and frustrating in equal measure, clocking just one second over the hour (1:00:01), whilst our Strider contingent was completed by Jo Sharratt (1:07:15), Ruth Mann (1:07:52) and another very welcome newcomer in Richard Bracey (1:09:13). 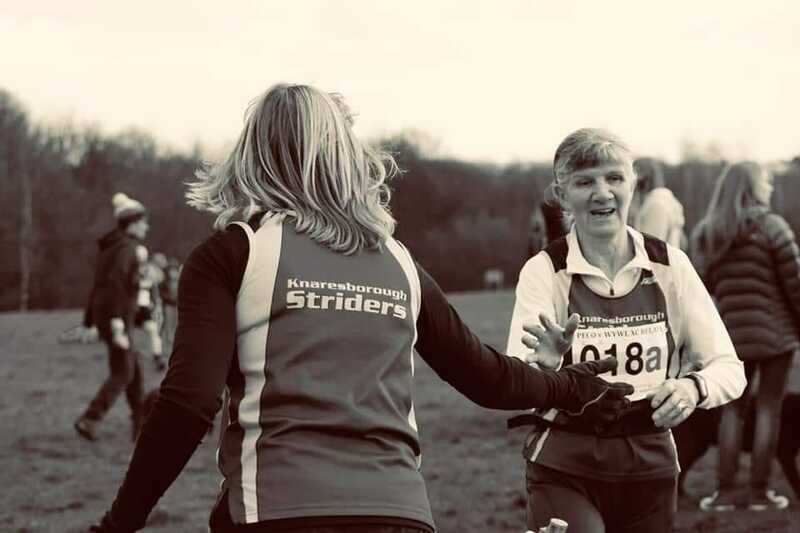 A brand new route greeted competitors at this year’s 10K Lightwater Valley Challenge. Starting at the Lightwater Valley car park it headed out on quiet country roads into the surrounding countryside taking a scenic route for those with the energy to appreciate the views! After working their way to the highest point of the course (301ft) runners then had ‘The W’ to smash, marking the midpoint peak between two peaks. W smashed and course completed, Lisa Harrison and Beyham Akyollu both impressed with times of 53:54 and 54:45 respectively. 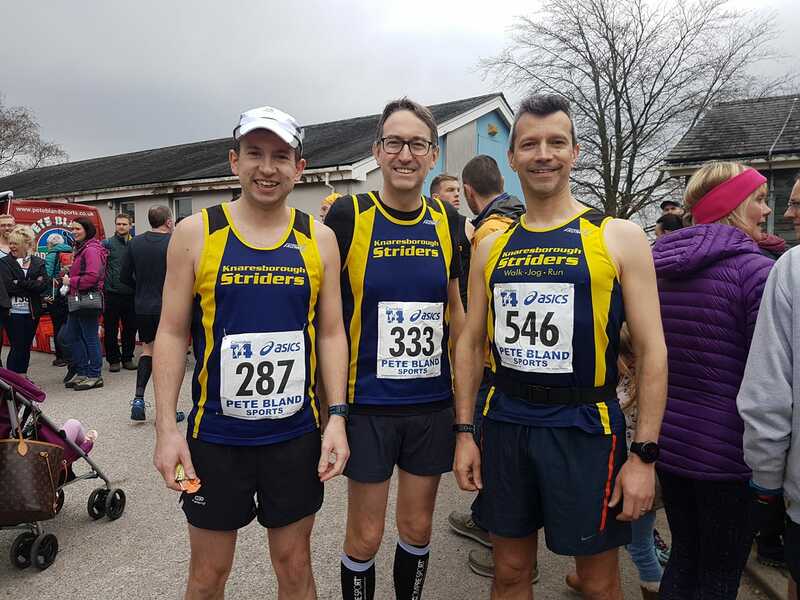 It was a return to the York Sports Village for a trio of our Striders taking part in the first of York’s four seasonal Today evening 10km events. So, more laps of the 1k cycle circuit ensued, with memories of ‘Bloodaxe’ (see February) still no doubt fresh in the mind. 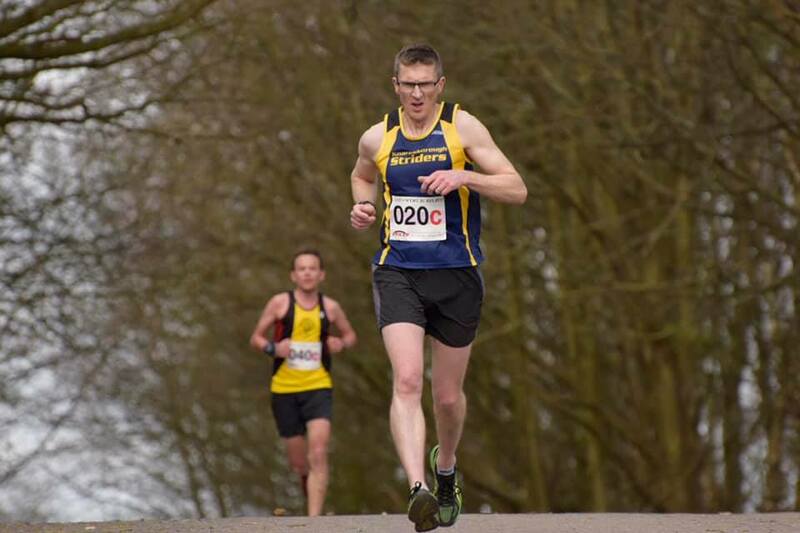 James Wright, no doubt very familiar with the tarmac by now, continued his recent 10k form with a speedy 38:39, finishing 4th overall. 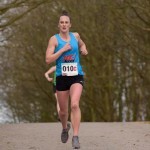 Lisa Harrison set a PB after working a night-shift (24th in 51:11) and Fyn Lees (44th in 59:05) also finished strongly – if perhaps dizzy – in the top half of the field. Ok, let’s be honest about this. 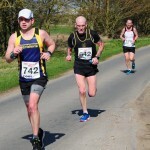 Dishforth 10k is flat, a bit boring and often breezy! Nonetheless it’s in aid of a good cause, easy to get to and presents a great chance to post a competitive 10k time early in the year. 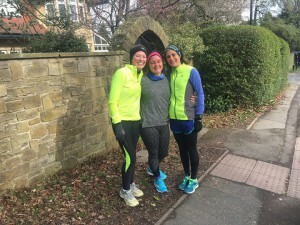 This year’s Striders contingent found that the stiff winds affecting the North of England made pacing nigh impossible, but some great times were posted. Steve Morland crossed the line 12th in 37:19, followed by Nicola Carter (46:00) and second in her class, Catherine Morland (47:09) and Lizzie Medwell winning her category in 1:02:48. 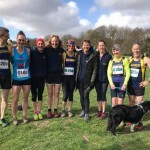 The ‘Grim up North’ events continue to gain popularity and provide an alternative to the traditional selection of club races. They provide entrants with a range of distances to choose from, all running concurrently at the same location. The Canal Canter is an ‘out-and-back’ on the Leeds and Liverpool Canal, based at Kirkstall. Its flat route is not particularly technical so it’s a great opportunity to improve that PB. 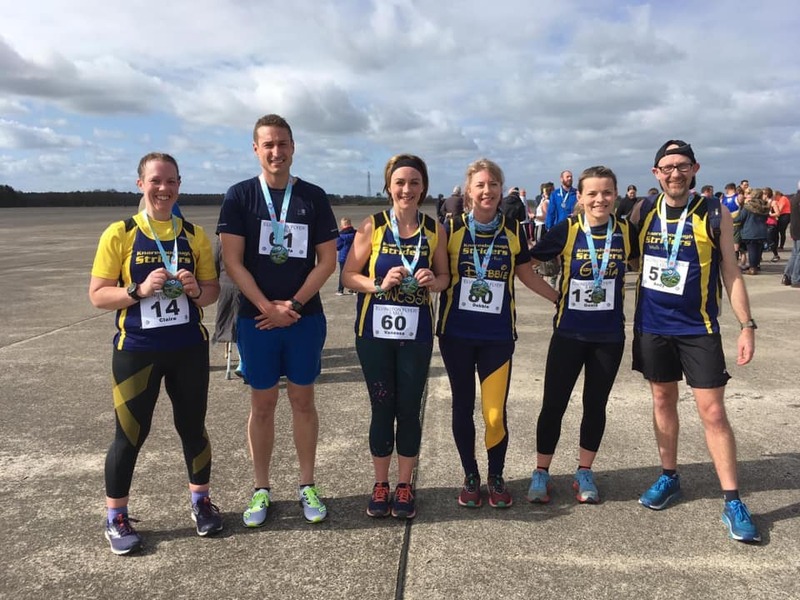 This was undoubtedly the case for the group of our Striders who entered, with each one of them setting a best over the half-marathon distance! 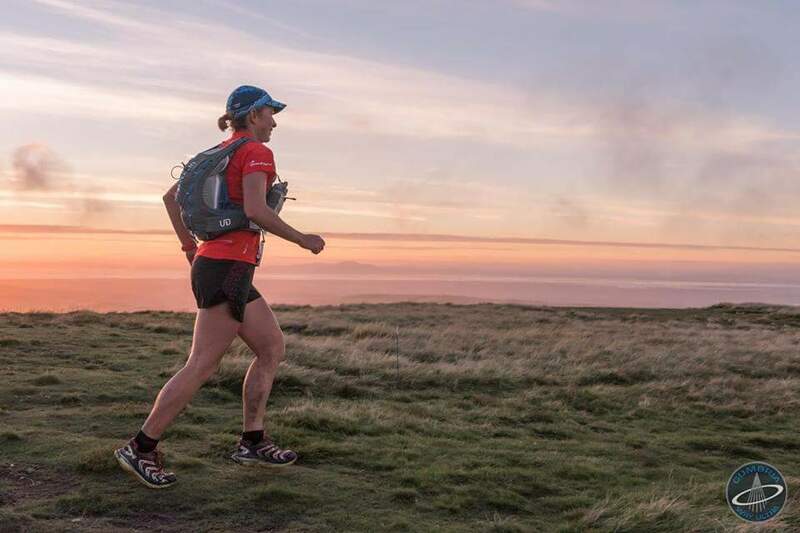 Louise Lodh underlined her return to form with a scintillating 01:49:34 to lead our Striders in, 11th overall and claiming the second lady prize along the way – well done, Louise! Very close behind were the trio of Vanessa El-Etriby (14th in 1:50:48), Debbie Herridge (15th in 1:50:56) and Gosia Przybyl (16th in 1:54:09). Completing a super set of performances was Helen Richardson with a debut time over the distance of 2:01:36. Dave taking a break from celebrity-spotting. Jo enjoying her time in the city. 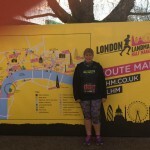 Jo Gray and David Halladay entered this new Half Marathon, which passes through both the City of London and City of Westminster. 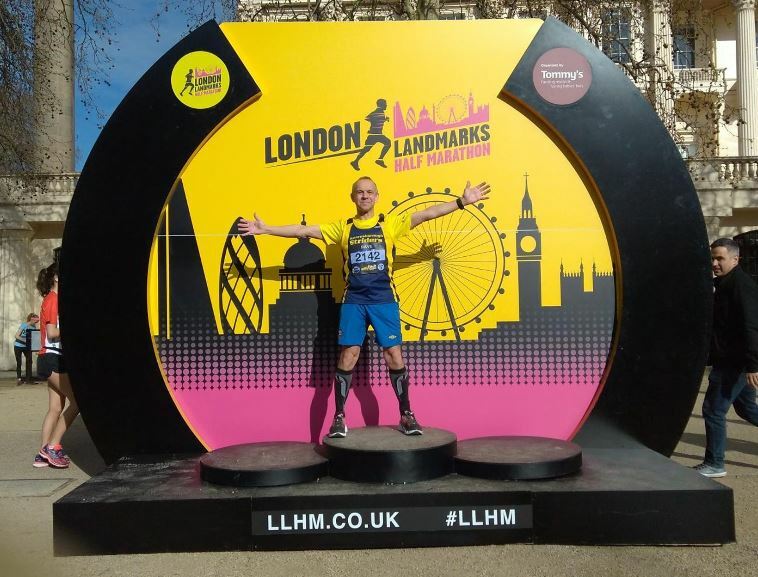 As the name suggests, there were famous locations aplenty, with our Striders starting on Pall Mall, finishing by Downing Street and passing Big Ben, St Paul’s Cathedral, Nelson’s Column, the Gherkin, the Shard, the Tower of London and the London Eye. 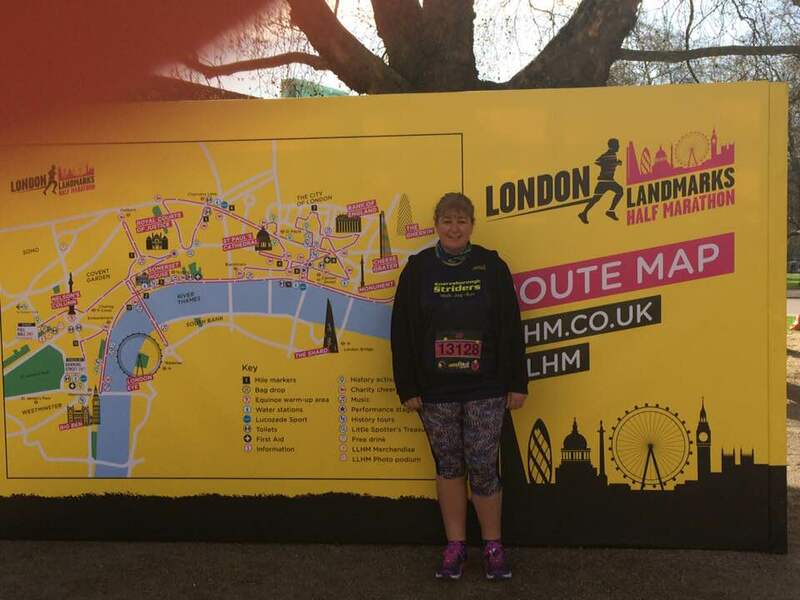 Jo’s hard work and determination paid off, completing the 13.1miles in 03:04:57, whilst David (Enjoying the great atmosphere and a spot of celeb hunting) comfortably broke the 2-hour mark in 1:55:00. Some of the competitors at Elvington flyer. 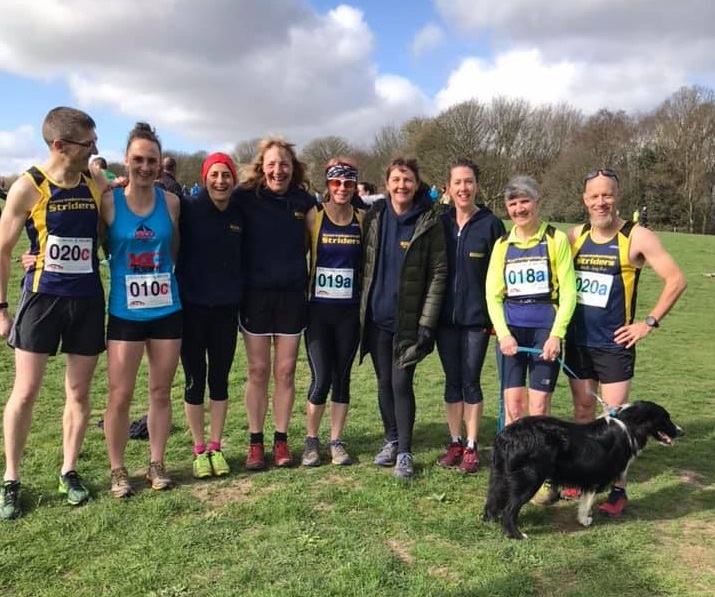 The Striders PECO relay squad + canine friend. Issy running for the PECO ladies squad. 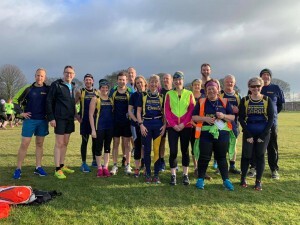 The traditional end to the PECO season saw 54 teams from the PECO and West Yorkshire leagues in a hotly-contested competition at Middleton Park. It’s three competitions in one: Firstly, PECO and West Yorkshire choose six representative teams each from their leagues and contest the annual trophy. Issy Rowe was selected for the PECO Ladies Open Team, logging a great leg of 21:32 and contributing to that team’s 8th place finish overall. That helped seal a 5-1 victory for PECO over West Yorkshire. Secondly, each club is invited to select a representative team (Male, Female and Vet) to race for club honours. Our team of Steve Morland (19:14), Sima Lowery (23:44) and Ted Welton (19:33) clocked a great 1:02:31, finishing 9th overall and claiming 3rd place in the club standings! Finally, runners can enter further teams in any category. 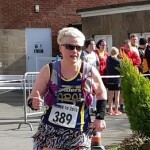 Our ‘Knaresborough MC Hammers’ team of Nicola Carter (24:20), Catherine Morland (24:46) and Steve Morland (20:05) claimed first place in the ‘Mixed Open’ category, whilst the ‘Knaresborough Superwomen’ team of Sue Morley (27:44), Edna Wood (29:19) and Julie Elmes (27:28) claimed the Ladies SuperVets crown. 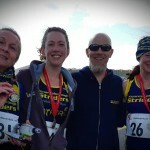 Well done Striders and enjoy your prize-winning socks! 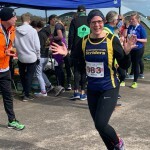 One of the most beautiful road races in the country, several of our Striders chose to take in the incredible scenery as they lapped the Lake District’s third-largest expanse of water. 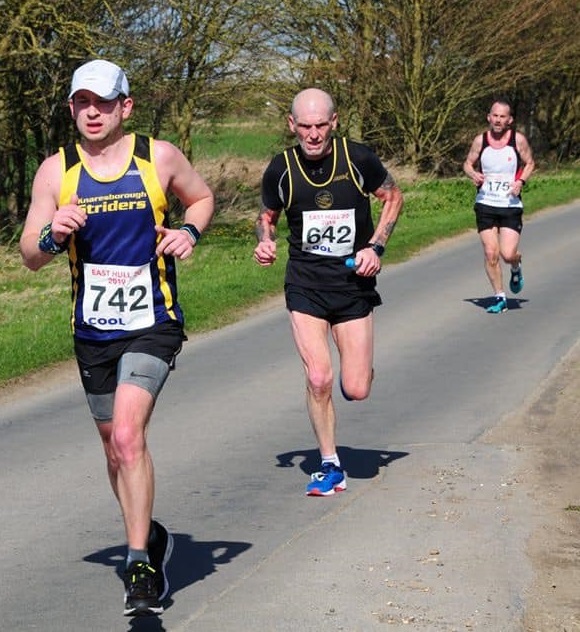 James Wright was the least distracted by the views, completing the circuit in 1:33:14, with Ian Waller putting in another strong performance in 1:43:53. 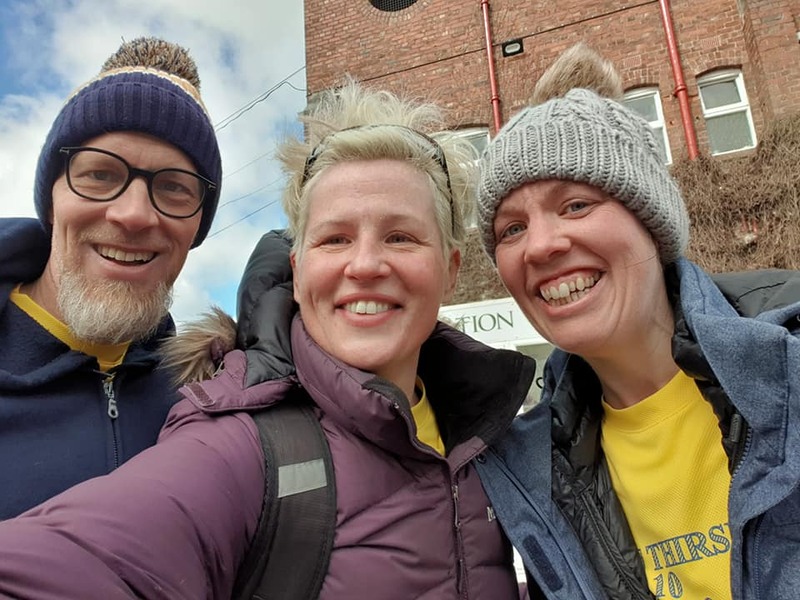 Having made a stop en route to buy running shoes (oops…) Stewart Hymas clocked 01:48:15 ahead of Julian Carr (02:02:28), Georgina Townsend (02:07:40) and Lizzie Medwell (02:25:04). 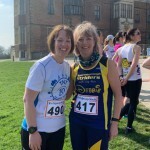 Our final event of March 2019 was the Daffodil Dash held at Temple Newsam. Probably not quite what Capability Brown had in mind when he landscaped the grounds, the wonderful spring scenes will have perhaps taken the 75 contenders minds off the ‘undulations’ which typify this favoured running location. 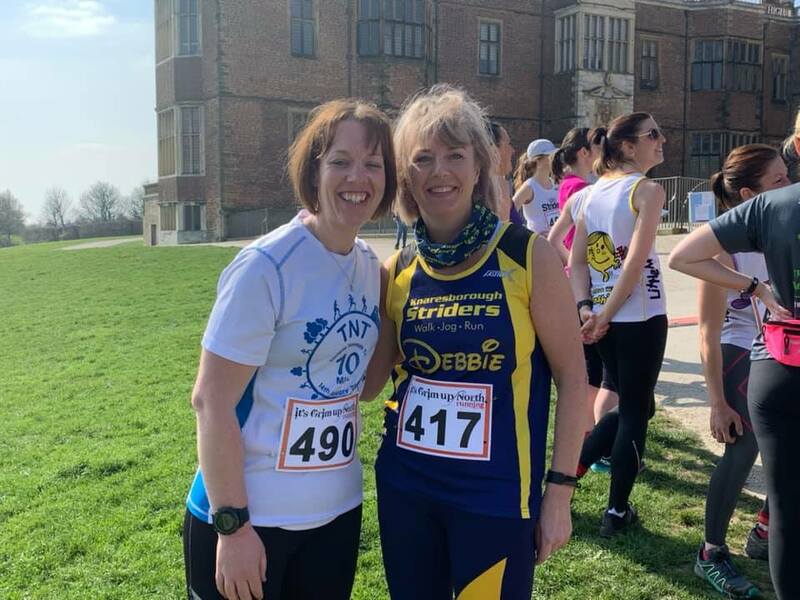 Our brace of striders certainly had a spring in their step around the 10k route, with Debbie Herridge recording a very symmetrical 55:55, just ahead of Claire Baxter in 58:52. 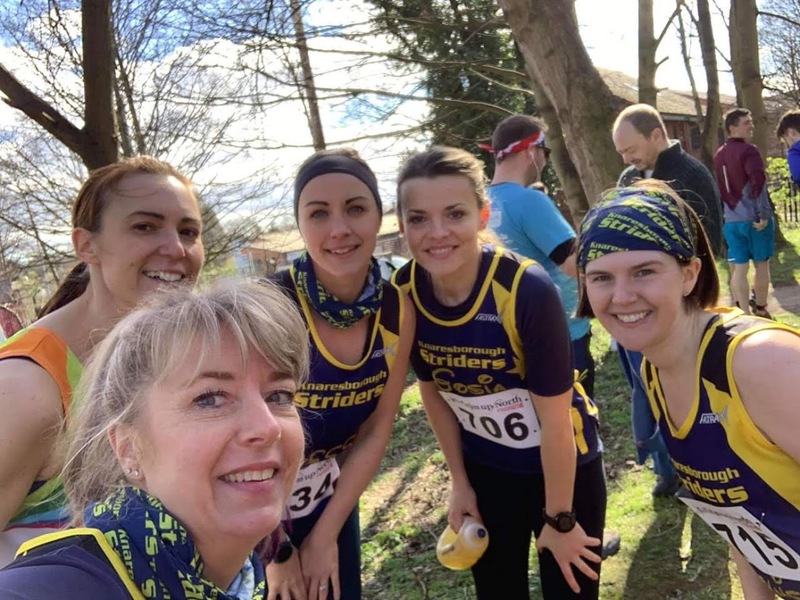 With a fantastic 16 events completed in March, Striders continue to go from strength-to-strength and it has been great to see new names appearing. 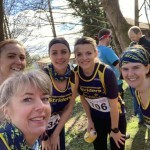 We’ll do our best to keep spotting your running efforts, but don’t forget to post something onto our forum if you want to be certain of appearing in April’s report! You may already be aware that a new addition to your membership is 10% club discount when shopping at SportsShoes.com. 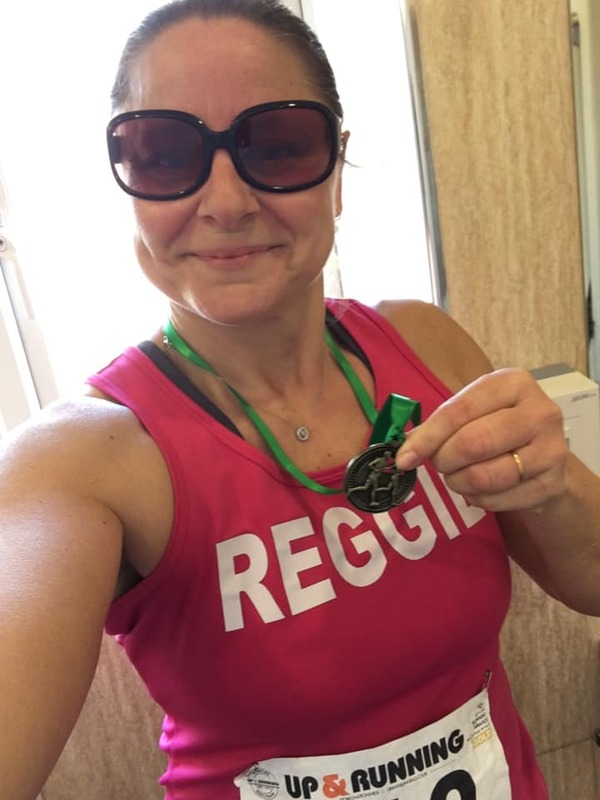 With days getting longer and warmer, Easter just around the corner and the marathon season approaching fast, now is a great time to add some new pieces to your running kit. The code changes each month and the latest code, valid for April, should be landing in your email box today. Please treat it with care and don’t share online or with others outside the club! Our membership system is now open for your annual renewals or new memberships. Thanks so much for your patience! 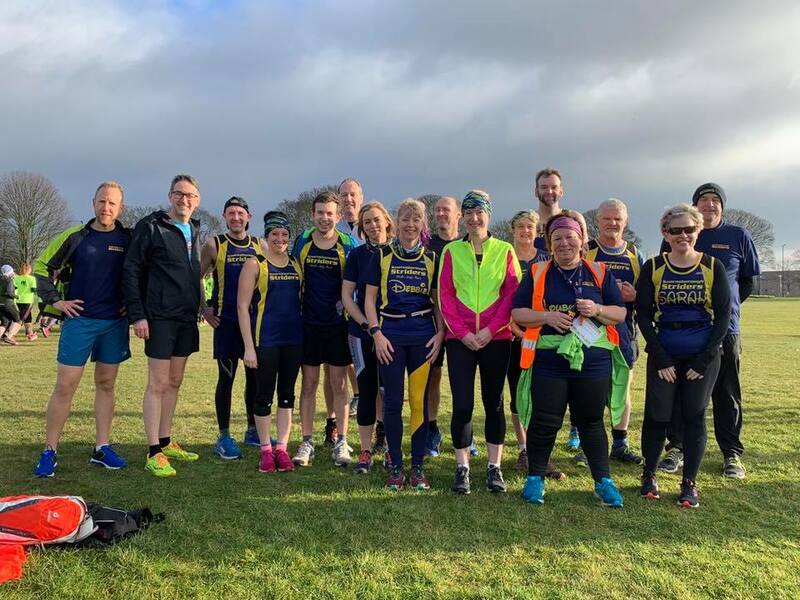 March 2019 saw our largest number of parkruns in one month so far this year – 112 – helped, no doubt, by the five chances to parkrun, but also great considering that two weekends featured abominable weather! 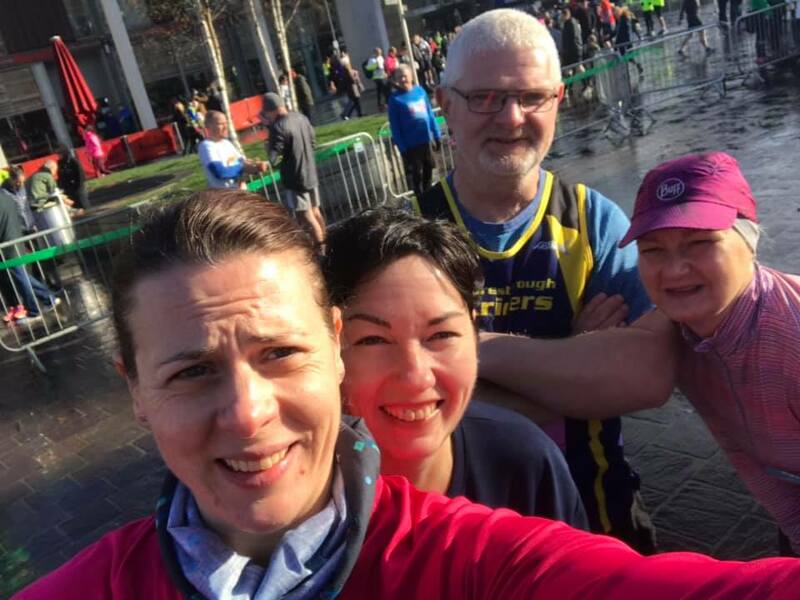 The furthest distance travelled goes without doubt to Ruth (over 10,000 miles) who popped up in Australia – that’s some serious parkrun tourism. What is listed below is: Finishing Position, Gender Position, Name and Time. Round two of our club championship meant that of the 40 Striders out at parkrun, 39 were at just the one venue! Boosted by our turnout and that of many SRG visitors, a record total of 625 runners took part. More details of this one in our March race results. Grim! Rain and Wind blew sideways through those parkruns that survived Storm Gareth! Well done to those who braved the conditions. A total of 112 runners took part. A total of 6 runners took part. Another grotty weekend saw lower turnouts across the board, but nonetheless there was some solid Striding out there! A total of 233 runners took part. Our own Tom was first to finish – congratulations! With Spring conditions returning, intrepid parkrunners emerged from shelter to find a nice day for a run/jog/walk. A total of 431 runners took part. A total of 389 runners took part. 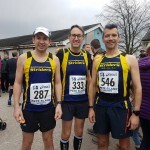 A really busy race weekend saw many Striders in leg-saving mode, but we were still represented well in the local area…. and Australia! 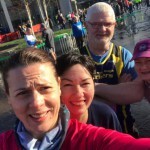 Australian parkruns start a bit sooner than in the UK – 7am in this case – strewth mate! We hope you enjoyed your early start, Ruth! A total of 620 runners took part. A total of 461 runners took part. So that’s it for our parkruns in March – 112 Free, Weekly, Timed Runs and another 560 km clocked. Well Done Folks! “Where’s MY result? 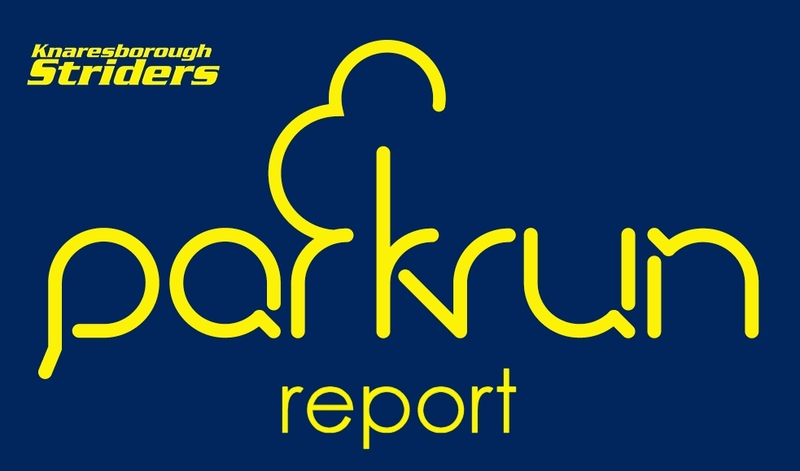 !”: If you’re missing, please let me know – it will be due to one of two things: a) the editor’s incompetence, or b) you haven’t selected ‘’ as your club in your parkrun profile – help on that can be found here: update running club. 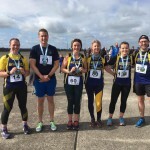 Time Trial Cakes – for a great cause! Cakes in a good cause! 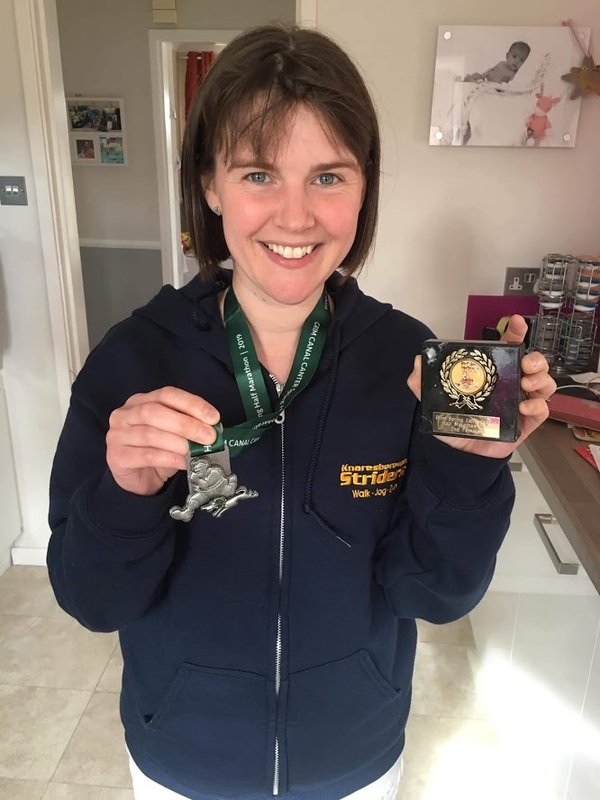 Claire Mckenzie will be holding a cake sale tomorrow evening after our Time Trial, to raise funds towards her London Marathon effort later this month. 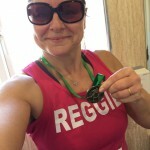 She is fundraising for Saint Michael’s Hospice’s valuable ‘Just B’ bereavement support service. Summer time means… Time trial is back! The clocks have Sprung forwards, so we’re straight back into our ‘daylight’ activities! They begin tomorrow evening (Tuesday 2nd April) with the first of our 5K Time Trials, which takes place in and around the Aspin estate. All Striders are welcome to enter and you will receive an official time which you compare yourself against at later time trials this year. We do need to start promptly at 7.30pm though, so please start arriving at the Cricket Club from 7pm ready to register before moving to the startline just down Aspin Lane. We had a record 57 runners at our first time trial last year, so let’s see if we can beat that! For those not familiar with the course, it takes two very similar anti-clockwise laps around Aspin Estate. The first longer lap heads along the back of the Cricket club for an extra loop around the playpark before heading back onto Aspin Lane. 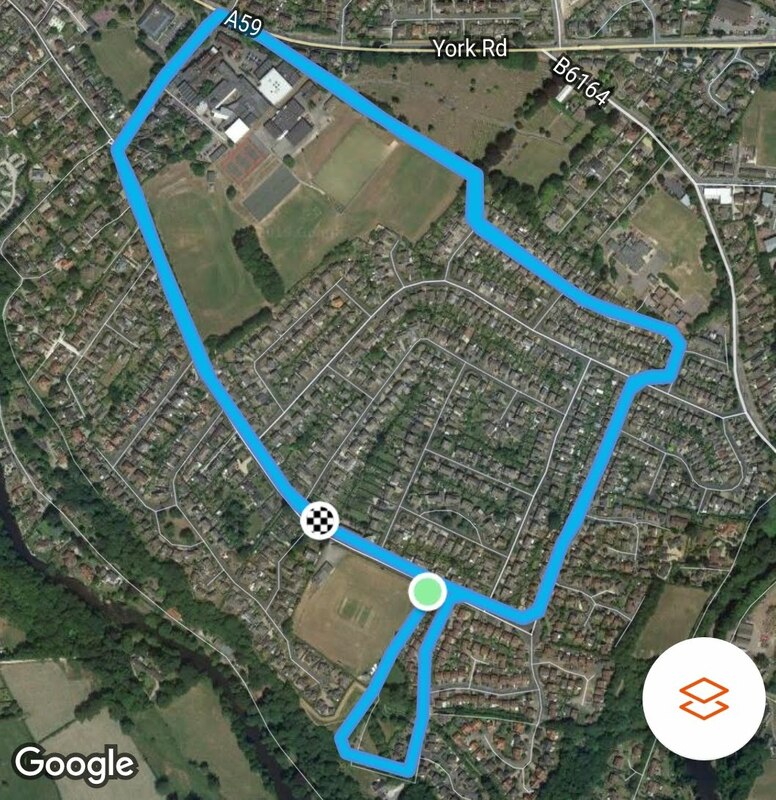 The route is then: Rievaulx Avenue – Grimbald Road – Cemetery Path – King James Road before heading back past the Cricket club for a second shorter lap.